We learn in life to take our victories when we can, and in this case, I view the fact that this store now has a legitimate badatz hashgacha a step in the correct direction. 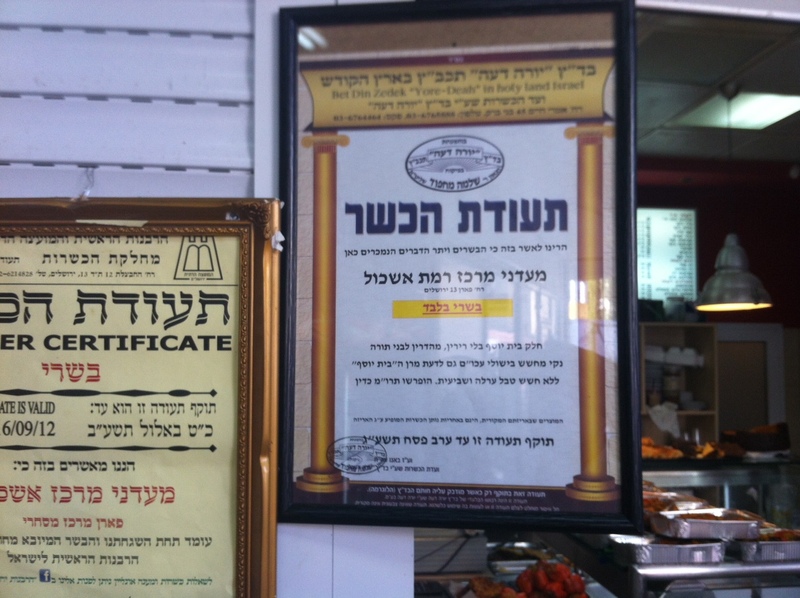 This store has operated for many years with a Jerusalem Rabbinate regular hashgacha alongside one of the unauthorized so-called mehadrin hechsherim. Now, Baruch Hashem, he has the same Jerusalem Rabbinate but alongside is a legitimate hashgacha, Badatz Yoreh Deah, Rabbi Shlomo Machpud. It is a meat restaurant for those unfamiliar. Posted on September 19, 2012 by JKN Israel. This entry was posted in Restaurants. Bookmark the permalink. B”H! 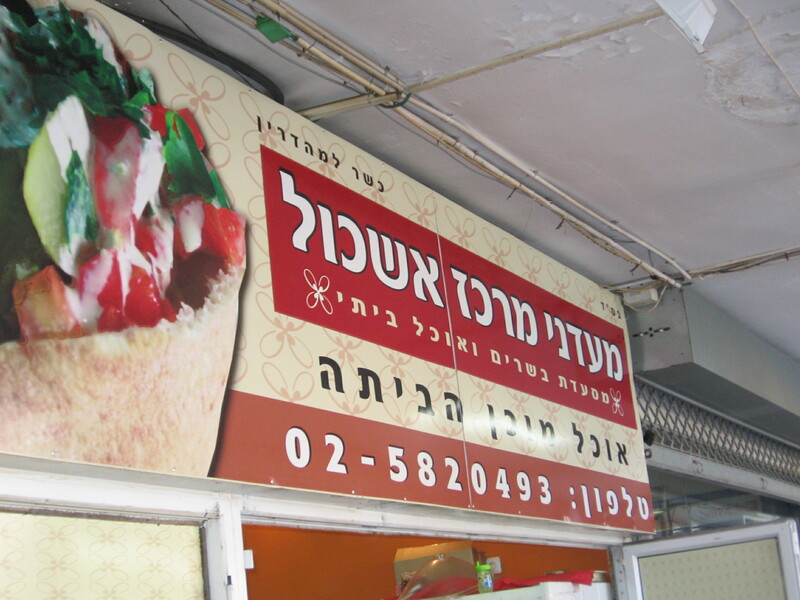 I can’t tell you how many times I’ve seen frum people eating there. 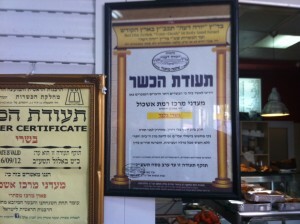 Now let’s hope their neighbor, the Eli Chaim candy and pitzuchim store, will follow their lead. 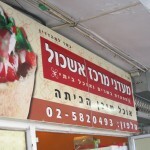 Perhaps, Batsheva, they held by the regular Rabbanut hechsher? Or are you saying that people who hold by the regular Rabbanut hechsher aren’t frum?